Sugar is sweet on the senses and hard on the mind. A new study finds “sugary, Western-style” diet can contribute to Alzheimer’s. Diets high in carbohydrates raise blood sugar levels which increases the risk of diabetes and the onset of Alzheimer’s Disease, according to a study published in Diabetologia. People with high blood sugar had a faster rate of cognitive decline than those with normal blood sugar levels. The higher the blood sugar, the quicker the demise. Those with type 2 diabetes are twice as likely to get Alheizmer’s, although as the new study suggests they may not be directly related. A separate study in 2012 looked at 1,000 patients. People with the highest carb-intake were 80 percent more likely to develop mild cognitive impairment — or MCI, a precursor to Alzheimer’s — than carb-ivores. As in all things health-related, diet is a significant factor in both diabetes and Alzheimer’s because they both deal with the body’s response to insulin. There are a few theories as to why high blood sugar triggers dementia. Diabetes weakens blood vessels, causing mini-strokes in the brain. 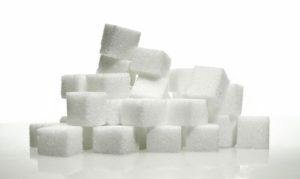 Increased sugars can also make brain cells insulin resistant, causing them to die. The perfect diet for both a healthy body and mind remains a mystery. For more stories on how to live a healthier life, give us a follow on Facebook!